A Platform/RPG based in the popular Russian song/character. Format: PC (Windows/Linux), Mac, Android, iOS. Follow Katyusha on: Facebook, Instagram and Twitter. A Platform/RPG based in the popular Russian song/character, written by Mikhail Isakovsky and composed by Matvei Blanter in 1938. A character that has never been seen introduced before in a movie or video game, Katyusha was Russia’s most popular song in World War II as it was encouraging soldiers between battles. In 1941 Germany invades Russia. Katyusha lives near the borders. Her boyfriend advises her to leave and save her life. Katyusha leaves but her feelings won’t let her abandon her boyfriend. She wants to find him. So she decides to leave on the east and join the Russian army. That would be her only hope of finding him back one day. The game is a fast-paced Platform/RPG which contains lots of emotional moments. Take control of Katyusha as she has to survive in Russia during World War II. The combat system includes melee combos and ranged weapons, among with stealth kills. A levelling system allows you to gain xp, level up and train Katyusha to learn new skills. 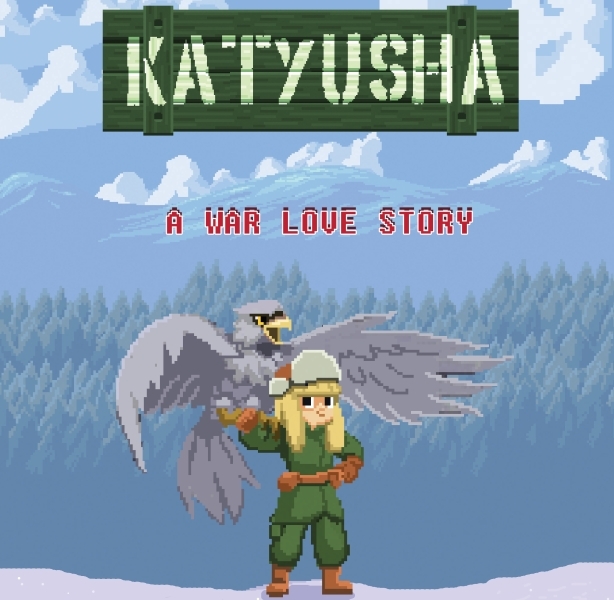 Katyusha’s skills include healing, movement skills and giving orders to her grey eagle to attack her enemies. Her relationship with the eagle depends on her actions. Many of Katyusha’s skills will be revealed in the future. When Katyusha’s comrades are killed they drop letters. Katyusha will also find letters from German soldiers. All those letters are real-life experiences that soldiers wrote in paper and sent to their families during World War II. We also accept letters from any of you kept from your relatives. You send them via email to info@loresoft.gr and those will be posted, either with the original poster, or using alternate names. Photo of letters are required to prove the identification. Stay tuned for more information. Full announcement of Katyusha will be done to the media in the following weeks. In the meantime follow Katyusha on Facebook , Instagram and Twitter. Also find Katyusha’s profile on IndieDB, where you will be able to see exclusive stuff before we officially announce them. Editors is a Beat ‘Em Up/RPG. All 4 heroes in the game are real-life editors of GameWorld.gr. According to the plot, four editors working in a gaming website crash in a car accident. They lie in a coma between life and death. Now they will have to fight their own memories to return to the real world alive. Choose between 4 characters, each one being a different class (Fighter, Barbarian, Amazon and Mage). Discover what lies in their mind. Fight against spirits and demons based on the games that Editors played as well as their real-life stories. Face their worst fears. Level up your character’s attributes and abilities at the end of each level and equip new items. Format: PC (Windows/Linux), Mac, Android (coming soon), iOS (coming soon). 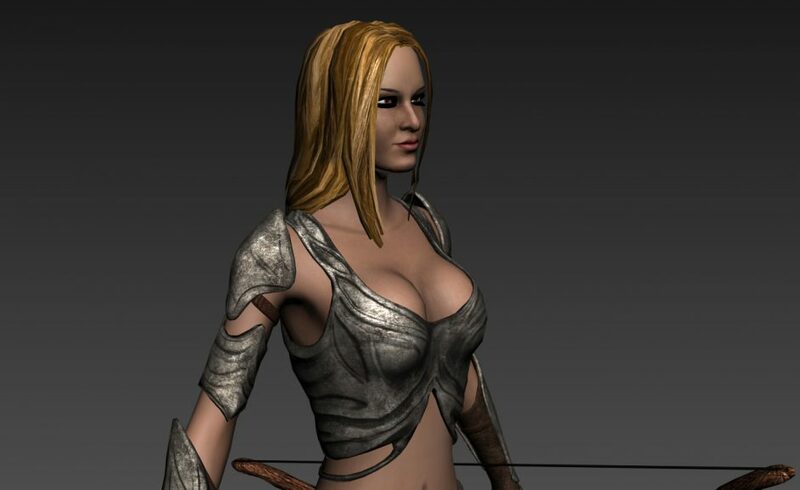 Xenia is a Metroidvania game inspired by real-life Greek Queen Xenia. Soon available on Steam. In Xenia you will be able to control a blacksmith who sees his city being rushed by evil forces. Queen Xenia is a real-life character, who lived 2000 years ago. Her castle was located at Ftheia plateau, Greece. According to the game’s plot, an evil wizard kidnapped the queen in order to use her soul to become powerful. After the royal army was vanished, our blacksmith has to accomplish a very difficult task. Save the queen at any cost. The game is a side-scrolling Metroidvania style Platform in which you collect gold and use it to by items from the Magic shop. Xenia has 7 bosses and makes use of secret rooms and alternate endings, which increase the game’s replayability. Progress is being done by checkpoints and gameplay is fast-paced. Download it in Google Play. Lanfort is a Puzzle RPG which combines the elements of Angry Birds with an RPG game in a unique way. Your goal is to take back the Kingdom from the Orkish forces. You can level up using 4 attributes and recruit new soldiers. Also, you can buy new weapons, starting from bow and ending up to canons, causing massive damage. There are two worlds with dozens of levels and high replayability. Our two first games were indie projects by friendly developers. Both these games were made by only one person. Loresoft provided Marketing services for both of them, while being paid by a revenue share deal.